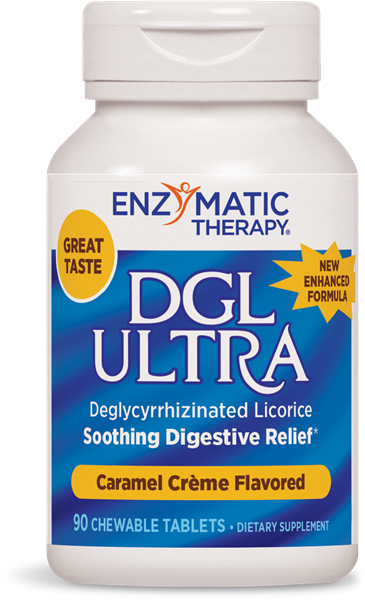 DGL ULTRA Caramel Créme / 90 chew tabs - Nature's Way®. Why use a deglycyrrhizinated licorice (DGL) supplement? Chew 1 tablet after food in the morning. Chew 1 tablet after food in the evening. If pregnant, nursing, or taking any medications, consult a healthcare professional before use.